The city of Ourense, ancient ‘Auria’ for the Romans, is the starting point of the last section of the Via de la Plata route of the Camino de Santiago. Probably one of the most beautiful last sections of the Camino de Santiago routes. There are three things in Ourense, you won’t find anywhere else in Spain’, a popular saying goes: the Santo Cristo, the Roman Bridge and the Burgas hot water fountain. But there is much more than three things that will captivate you when you visit Galicia’s thermal city. 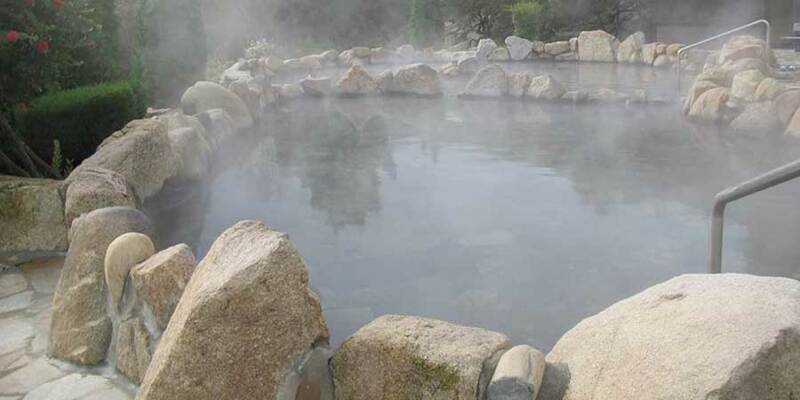 The city owes its name to its past as a gold mine but today, gold gone, Ourense’s hot springs and thermal waters remain its most unique attraction, to locals and tourists alike. They can be found all over the city and many can be enjoyed free of charge. The most iconic is the thermal spring fountain of As Burgas (65°C), in the city centre. There are four thermal areas in a stretch of merely three kilometres, on the right-hand bank of the river: A Chavasqueira public pools of hot mineral and medicinal waters (41ºC), then the thermal spring of O Tinteiro (43ºC) with waters believed to help alleviate skin problems, two kilometres ahead is Burgo do Muíño das Veigas (waters 65ºC to 72ºC) with four public thermal pools and the last one is Outariz (61ºC), with four pools recommended for sufferers of rheumatism and arthritis. The pools open all year round, with a combination of public open-air baths and private areas. 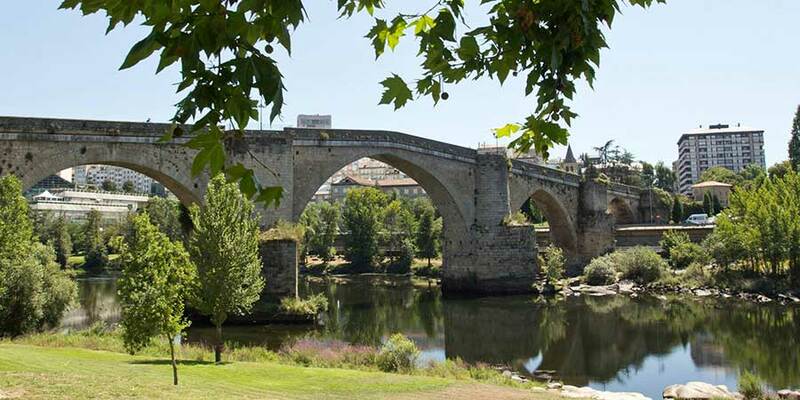 There are eight bridges over the River Miño, as it crosses the city of Ourense. The most famous one is Ourense’s Roman bridge, from the first century, also known as the Old Bridge (Ponte Vella) or the Big Bridge (Ponte Maior). The bridge underwent some renovation work in the 12th and 13th centuries, as well as its final one in the 17th century. Seven of the 11 original bridge arches still remain today and the bridge is a pedestrian-only area since 1989. Ourense’s cathedral, also known as Saint Martin’s Basilica, is home to the Santo Cristo, among other things. The Santo Cristo figure was originally brought from Fisterra to Ourense in the XIV century by Don Vasco Pérez Mariños, who was the city’s bishop at the time. Also in the cathedral, you can admire the 13th century Pórtico del Paraíso and the permanent nativity scene in the chapels of San Cosme and San Damián. Once you have visited Ourense’s three most famous attractions, it is time to discover many other things about Ourense that will make you love the city. Take some time to explore the old town and walk around its charming pedestrian streets and quintessentially Galician granite squares, dotted with fountains, ‘cruceiros’ (crosses) and statues dedicated to some of Ourense’s most famous writers. Stroll along the arches of the main square, home to the city hall and Episcopal Palace, where the main festivities in the city take place. There are many more chapels, churches and monuments to visit in the city, such as the convent of Saint Francis and the archaeology museum, but if you more inclined to relax in a green space or stretch the legs and watch the world go by, head for the Alameda park or the Parque do Posío botanic gardens. Take a break to taste traditional Galician cooking in one of the many bars and restaurants in the old town, and you shouldn’t leave without having a sip of Ourense’s best juices. Ourense’s wine might not be as well known abroad as Albariño but the province has four ‘Denominación de Orixe’ (Origin Designation) wine labels of great quality: Ribeiro, Valdeorras, Ribeira Sacra and Monterrei. 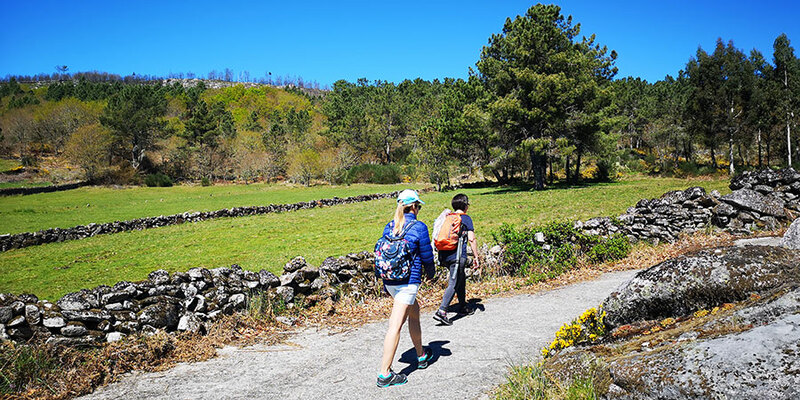 Festivals in Ourense A handy tip for walkers will be to avoid Ourense in the Summer as it gets some of the highest temperatures in Europe. Ourense’s ‘magosto’ is probably one of the most famous in Galicia. Magosto is a traditional Autumn celebration in Galicia, when friends and groups gather to enjoy roasted chestnuts and welcome to the winter season. Ourense’s public Magosto celebration takes place on 11th November, San Martiño’s Day, in the main square. Os Maios, a pre-Roman festival to welcome the Spring. Held on the third of May. A Bela Auria festival in September celebrating Ourense’s history and traditions. Ourense Festival in June, starting in Corpus Christi. Carnival is also a very popular festival in Galicia and Ourense province is particularly famous for its ancient Carnival traditions. 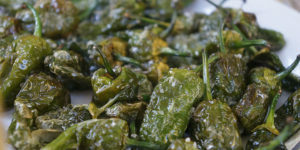 *For more information about things to do in Ourense or to book your Camino trip contact one of our Travel Specialists. Dear Renee, thank you so much for getting in touch. 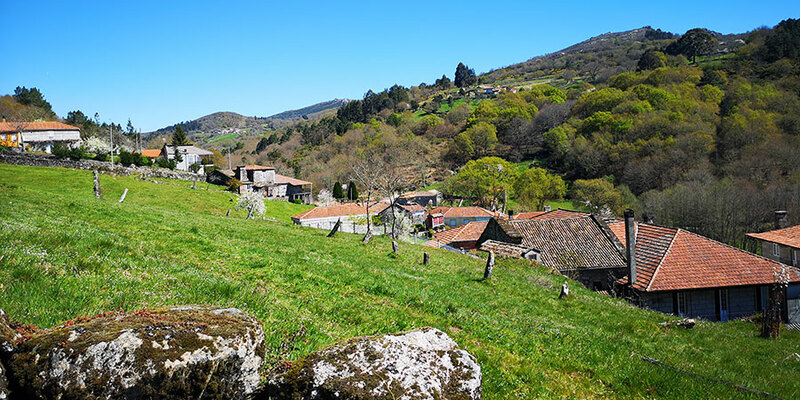 Tapia de Casariego is on the Camino del Norte (between Navia and Ribadeo) so you wouldn’t have to join the French Way, only at the very end, you can see full itinerary here: https://caminoways.com/ways/northern-way-camino-del-norte/northern-way-full-way. Our Customer Care team will be in touch with some trip suggestions for you, we are looking forward to help you on this special journey!